Just a short update today as I’m also working on the futures write-up: Ugly action overnight that pretty much started within seconds of the close yesterday. It was interesting to see $SPY close at 179.32 only to see it at 179.02 literally within seconds of the close. Erratic action by $GOOG and $AMZN followed, but some recuperation of futures later in the session. It didn’t matter. Japan got hammered, then Europe with bad economic news coming out of Germany and the EU at large. 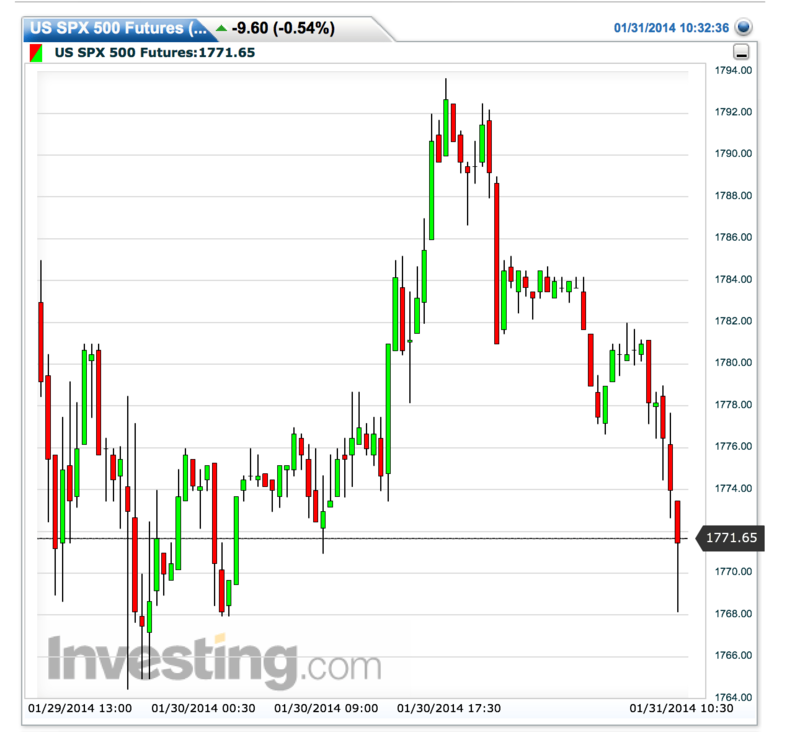 So futures are giving back much of their gains in the overnight session with $YM futures making new lows. Nothing pretty about it and it pretty much destroys the set-up for Friday. The weekly calls are virtually guaranteed toast. It’s not pretty but it happens. The market will go against you on occasion. My saving grace here is that I again took profits throughout the day and went back to mostly cash per my tweet before close yesterday. The focus is now on what to do next. As it stands it looks like a re-test of previous lows and I started scaling into some $ES longs in the overnight session and we are currently sitting at previous support. So we find ourselves at a crossroad. The month-end mark-up set-up still remains into next week, but new lows cannot be excluded as a possibility either. So I will stand aside patiently here and scale in at key levels and as I see some more stability. We have big POMO today on a month end, but also a very shaky European market at the moment, so I will wait before I add anything on the option side. The tactical play would be to place some lotteries into weakness today for a mark-up rip play that may occur later in the day. Any of these lotteries would be 100% risk, but could pay big if mark-up action occurs. A safer approach would be to add February based calls into the weakness for a bounce into next week. As it stands, this is a highly volatile set-up best played with small positions or not at all. Tactically this is a tough spot for money managers as this January is looking awful on the books. Part of the action this week seems to have been driven by equity outflows. My view remains that this first correction will be bought for another run at highs. Anything is possible today even a green close and a run over 1,800. Bulls have a lot to prove here. As for the analog: Ironically it printed a new low on the last trading day and then ripped like crazy with a 3.3% upside move to close the month. While that seems completely unlikely now ( and I agree it is unlikely) stranger things have happened, so we shall see.